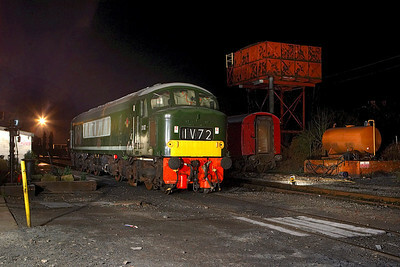 D182 (46045) on shed at Butterley during an EMRPS Photo Charter on 03/02/2007. 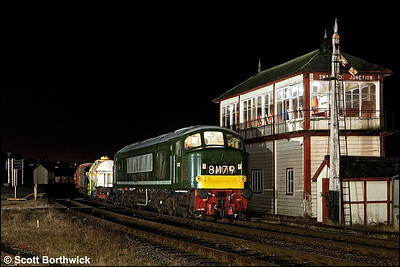 D182 (46045) restarts a mixed freight away from Swanwick Junction on 12/12/2009. 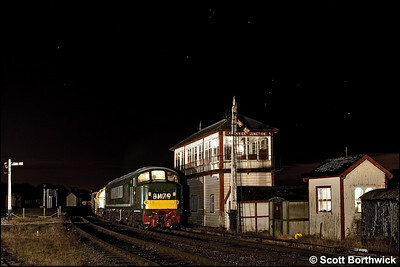 The constellation of Orion looks down on D182 (46045) as it restarts a mixed freight away from Swanwick Junction on 12/12/2009.